When a doctor suddenly becomes the patient with a life-threatening illness, Mayo Clinic’s commitment to high-quality medical care that puts the needs of the patient first takes on fresh perspective, especially as it relates to the principle of compassionate care, which is a hallmark of Mayo Clinic. Such was the case when Joseph J. Tepas III, M.D., a 68-year-old pediatric surgeon in Jacksonville, Florida, learned that the wheezing and shortness of breath he was experiencing turned out to be idiopathic pulmonary fibrosis, a potentially life-threatening disease that occurs from unexplained scarring of the lung tissue. In addition to doing pediatric surgery, Dr. Tepas is a practicing trauma surgeon and surgical intensivist. He is the medical director of the region’s only pediatric trauma unit, and, as a retired captain in the Navy Reserve, appreciates the critical importance of maintaining a personal commitment to health and fitness. Dr. Tepas had always lived a healthy lifestyle and, other than some occasional allergy symptoms, never had any significant health issues. But lying dormant in his otherwise healthy body was a disease that was quietly scarring and shutting his lungs down. The speed in which Dr. Tepas discovered, and was ultimately diagnosed and treated for his serious illness, was impressive. Dr. Tepas first experienced his symptoms on a trip to Washington, D.C., in mid-June and figured the inhaler his doctor prescribed would manage the wheezing and shortness of breath. When it became clear what he was experiencing was more serious, he underwent a series of tests and discovered his shocking diagnosis – idiopathic pulmonary fibrosis and acute interstitial pneumonia (Hamman-Rich Syndrome, a rare form of rapidly progressive end-stage lung disease). It soon became obvious that he was going to need a double lung transplant if he was going to survive. Given the accelerating deterioration of his lung function, Dr. Tepas was emergently referred to Mayo Clinic in Florida for a transplant evaluation. Within 36 hours of arrival, he had received a full assessment of his condition and was immediately put on the UNOS transplant list. And although he works at a different regional hospital in Jacksonville, Dr. Tepas had nothing but praise for Mayo Clinic and its transplant capabilities. There is an interesting twist to this story relating to the importance of organ donation. 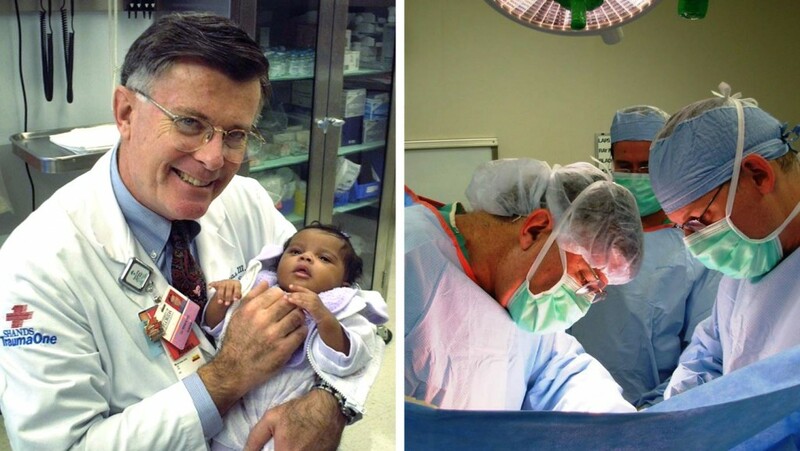 Dr. Tepas was the trauma surgeon on call in 1998 when a 17-year-old Jacksonville teenager named Katie Caples was brought to him in critical condition after a motor vehicle crash. Although Katie passed away as a result of her brain injuries, she donated her organs to five different recipients (ages 9 to 62), since she was a registered organ donor. Her father, David Caples, started the Katie Caples Foundation and its annual organ donation awareness and education event, The Katie Ride for Life, in 2005. It is held annually in Amelia Island, Florida, and raises money to educate high school students in Northeast Florida about the importance of organ donation. Mayo Clinic has been a major sponsor and supporter of the event for the past several years. Learn about at Lung Transplants at Mayo Clinic. Join the conversations about Solid Organ Transplants on Mayo Clinic Connect.